Since we're still waiting for Episode 3, I thought I share this for some kind subject to talk about to kill the time. I found something kinda interesting from Starved For Help. Damn, did Larry look ever pissed off when Andy grabbed Clem! Good memories from that lovely candlelight dinner pop into my head. It was remarkable meal, that's for sure. "They got rid of the "usually 4-6 weeks" and changed it to "to be released periodically"." Well that's weird, when I checked it just now it still said 4-6 weeks. I'm serious, that's what I see. Welcome to the fourth week, arguably the half of the waiting period; expect nothing. 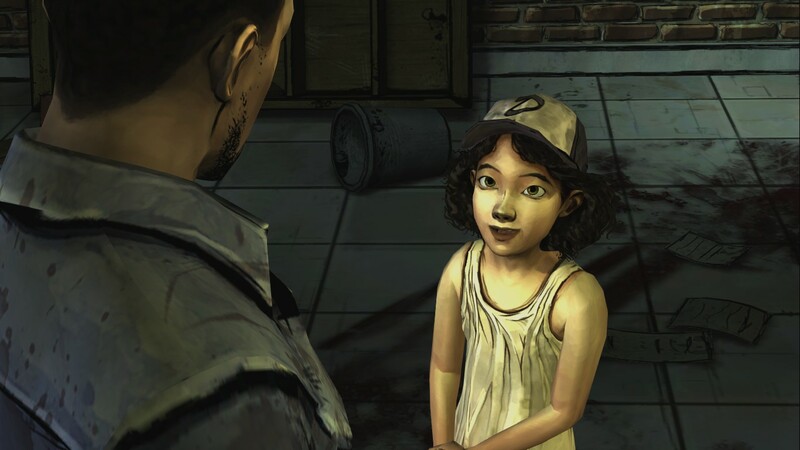 I always found curious that Larry actually cared for Clem. 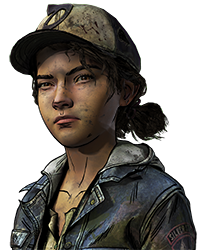 I kinda wish we saw Larry and Clem interacting with each at the motor inn. I mean they'd probably be in good terms despite their differences in things. Huh, yeah, it is still there... I must have mistaken it for the answer above it last night. "They got rid of the "usually 4-6 weeks" and changed it to "to be released periodically"." Well that's weird, when I checked it just now it still said 4-6 weeks. I'm serious, that's what I see. They got rid of the "usually 4-6 weeks" and changed it to "to be released periodically". It still says 4-6 weeks. Check the facts again. Yeah, man, my mistake. I swear not to post any facts while sleepy ever again. None of the comments were deleted. I just moved them to the existing topic that was already discussing Telltale's handling of the release of episode 3. Like the forum guidelines state, a thread can be closed or moved if another thread on the subject already exists. The reason we close or move duplicate threads is simply because it is harder to follow conversations when the same subject is being discussed in multiple threads. 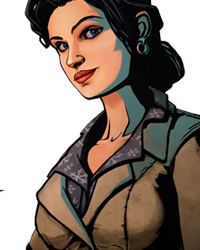 Feel free to continue discussion of Telltale's handling of episode 3 in that thread, as we don't hamper any discussion here as long as it's not abusive or against the forum guidelines. Wow my thread about telltale´s silence has been closed without an answer... Link: http://www.telltalegames.com/community/discus… moresion/63810/why-the-silence-telltale No mod even told me why my thread was closed... -.- This is getting really annoying. EDIT: Now its open again and normal comments got deleted. WTF? Moderators aren't staff. We are simply volunteers who use some of our free time to help around the forums. And besides,he was just trying to protect his daughter. And he ate that human meat like a Boss! No. Hell yes. That would confirm a Season 3. Okay, someone has to say this and it might as well be me. "This really isnt fair towards us who paid for an unfinished game" No one forced you to buy an unfinished product. You decided to buy it, knowing that it was unfinished. No one (from Telltale at least) promised you that the releases would be 4-6 weeks apart. That was a rough idea of the release intervals and that was made clear in the unofficial FAQ, no doubt where you got the 4-6 week "promise". Another great episode vs not so great, buggy, clearly rushed episode. Which would you rather? The fact that Telltale is willing to delay the episodes knowing how many people will be upset shows that they probably care about the quality of their game and that they don't just want to release an unfinished game/episode. 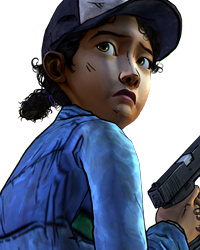 So to everyone that's been spouting similar garbage, here's my advice to you: shut up, be happy that Telltale wants to give you good games instead of rushing them out the door, and find something else to do with your free time until the next episode is released. Please and thank you. I dont see how it can take that long to make a 1½-2 hour game, especially since they should be having everything ready from the start AND since they seem to be heading to the direction of having only cut-scenes in the game. It wasnt the unofficial faq that said it was gonna be 4-6, it was the official (heres the link so yea lmao. I dont like giving my support to telltale when they clearly said ''Episodes are usually available to download between 4 and 6 weeks apart.'' A weeks delay(aka a 7 weeks wait) would still be alright, but jesus christ, 11 weeks wait is way too LONG. you might not be spag but alot of other users do..
a noble quest grove, as i have found out it's entirely fruitless exercise trying to enlighten some people, some do see the light but for the other dark siders they will never see reason even when you beat them over the head with facts.. 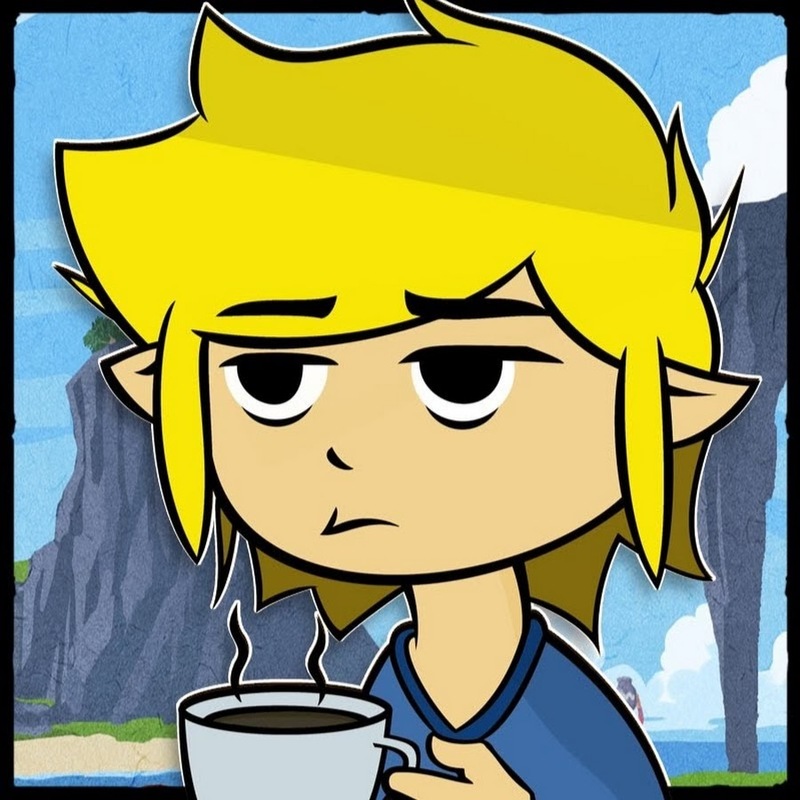 They don't understand episodic gaming, they don't understand the game is made episode by episode regardless of how much it is said or mentioned in interviews, yes the story is more or less sorted and some fundamentals / basic game engine stuff but puzzles/ voice acting/ animation of action sequences are done for each episode after the last one..
then there's the fact ttg are still a small time company compared to other triple a title giants..
ep2 has always had an extra long time before it out to include feedback from ep1. 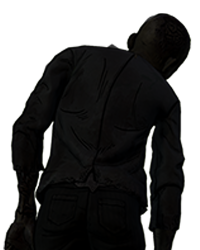 then we have twau ep2 having problems which caused the twd team to shift focus. the info is out there / in these forums if people care to look but as i have found people are too lazy or god knows what else to not do such a simple thing. I have confidence that April will bring with it some good news. Soon, I think. And the hardest month of my life starts... now. The game isn't 1 1/2 hours lol. 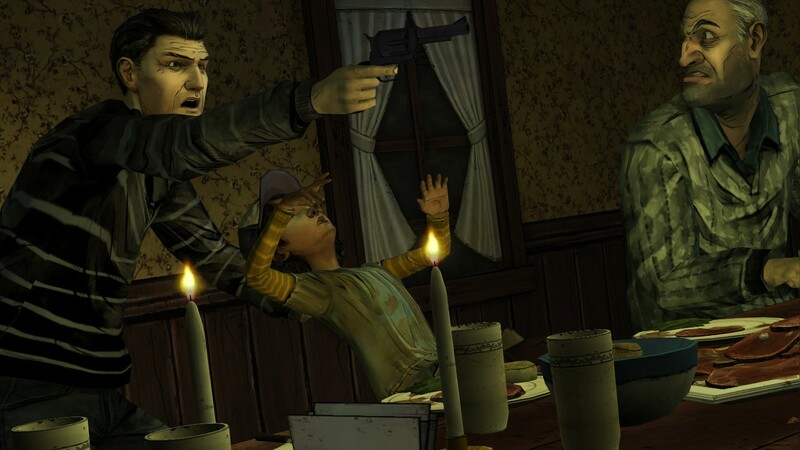 Take into consideration all the dialogue choices and scenes that we didn't see, telltale has to work as hard on one area of the game as the other. It has to be April. Has to be. They just can't let us down three times in a row. It might not be a legally binding contract but if I say ok you want a new fence I will change each part every 2 weeks and you have 16 parts then I go ok do nothing say nothing 2 weeks pass I do it in the 4 week you would be pissed off and ask for your money back. Building a fence making a game it's the same thing you say something keep your word if you don't people might want refunds it's not unreasonable for them to ask. 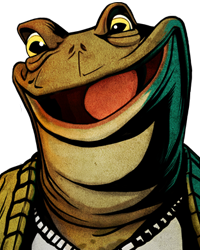 PSA: Do NOT believe ANYTHING said by TellTale today(April Fools' Day). If they say something tomorrow, you can believe them, but not today. Today is exactly 4 weeks! I don't know why but last week went fast for me. Anyway thought you guys might wanna watch something to kill the time. Hope you gus like TheRadBrad. Starvation, dehydration, depression from losing your whole family, constant fear, cold weather and hopelessness of any happy future. Why do you even play this game other than to find reasons to complain? So no news yet then, what a surprise. Where is the 'sooner than you think' release we were told was coming. Does that mean 10 weeks instead of 11. Or perhaps it means the same as 'super soon' or 'just round the corner'. Trolltale do make great games, there is no denying it. However, there is something else they do even better. That is winding people up with their continuous silence and when they're not silent, they misdirect. Or in other words, blatant lie. So no news yet then, what a surprise. Where is the 'sooner than you think' release we were told was coming. Does that mean 10 week… mores instead of 11. Or perhaps it means the same as 'super soon' or 'just round the corner'. Trolltale do make great games, there is no denying it. However, there is something else they do even better. That is winding people up with their continuous silence and when they're not silent, they misdirect. Or in other words, blatant lie. 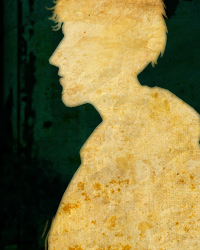 with the launch trailer for the wolf among us just posted, It would seem an april 8 release is not only possible, it's plausible! if that happens we can expect episode 3 of twd in early may. So far, all of your posts have just been you calling us whiners and signing off with "Just Me, Tim". Could you try to be a bit more positive and stop with that stupid imaginary signature?